Tap File > Save a Copy. 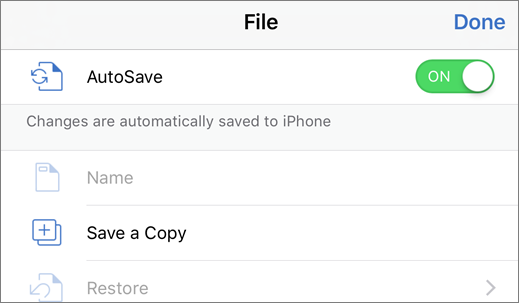 Enter a file name and then tap Save a Copy. Important: The Office apps automatically save as you work. To avoid overwriting your original file, save a copy before you start making changes. In the list of locations on the left side of the screen, choose the cloud service of your choice.